You are here:Home Knowledge and Expertise Resources How Much Can You Save by Optimizing Metal Detector Testing? How Much Can You Save by Optimizing Metal Detector Testing? 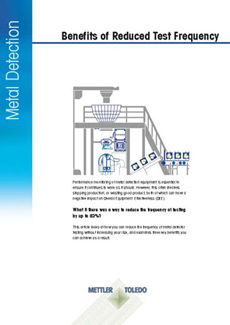 Performance monitoring of metal detection equipment is essential to ensure it continues to work as it should. 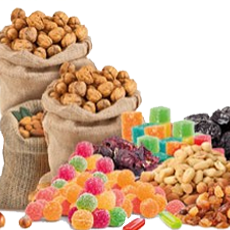 However, when it comes to testing vertical metal detectors inspecting free-falling product, this often involves stopping production, or wasting good product, both of which can have a negative impact on Overall Equipment Effectiveness (OEE). By installing the latest Profile T Series or ST Series metal detectors, or the latest Profile Gravity Fall metal detection systems, you can lower your total cost of ownership and significantly improve your OEE. 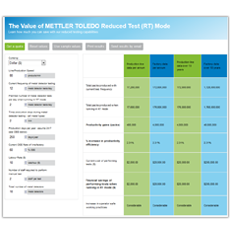 Use the RT ROI calculator to discover the significant savings that using Reduced Test mode can deliver for your business. To find out if your Profile throat metal detector or gravity fall metal detection system can be upgraded with the latest vertical enhancements, to enquire about replacing your existing metal detector, or to request a quote for a new metal detector, please click on the "Request a Quote" button below. 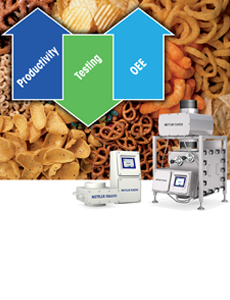 The latest Profile Throat vertical packing metal detectors and Gravity Fall metal detection systems from METTLER TOLEDO Safeline now offer 'Reduced Test' (RT) mode and optional ATS Auto Test Systems (ATS). 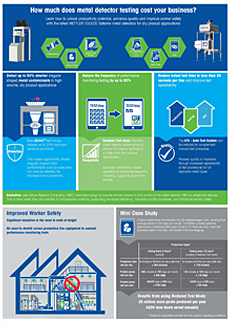 Latest Safeline throat and gravity fall metal detectors deliver increased productivity, reduced cost, enhanced quality and improved worker safety. 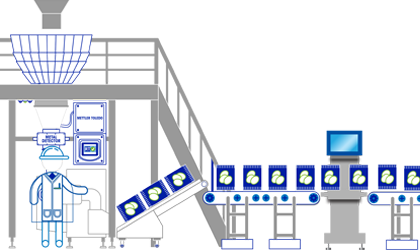 METTLER TOLEDO Safeline Gravity Fall metal detection systems eliminate contaminants in fine, dusty powders through to granular products. 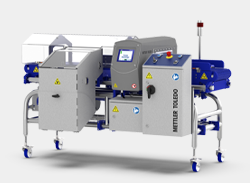 METTLER TOLEDO Safeline T and ST Series metal detectors are ideal for vertical form, fill and seal packaging lines. High sensitivity to all metals.